Our business letters are written with the purpose of engaging the receiver. With years of experience in business letter writing, we can assure you that we can craft a business letter that will hit all the sweet spots of your recipient, making sure that you’ll get what you want from your receiver. We make sure that your business letter follows all the requirements of a standard business letter up to a single punctuation. We have a team of writers and proofreaders working together to ensure that your letters are on-point and perfectly delivers your message across so you never have to worry at all. You can choose whether to order our template business letters, which are categorized into different types so you can build your own business letter or you can also choose to hire one of your business letter writers to craft a business letter for you. We also have FREE sample business letters available. Business letters can make or break your company. One wrong word, one wrong sentence, one vague statement or one grammatical error can cost you the relationship you need to soar into the heights of success. That’s why it is very important to make sure that your business letters are clear, concise and matches the expected tone of your reader. Business sometimes pays less attention to business letters. Many use a template and just edit it a bit to include what they need to accomplish and to change stuff like the recipient’s name, etc. However, what they don’t realize is that doing this is no different from not sending a business letter at all. Your recipient will know if you just used a canned letter. They will analyze your letter in detail to see whether you took extra care in crafting in and if not, then they might be discouraged to make business with you. They will feel that if you can’t put effort, time and attention to the letter, how can you put your all when your business relationship is established? The recipient will feel that you won’t put in the effort in managing your business relationship with them and that you don’t really need whatever it is you are proposing to them, so you have to take time on writing your business letter. Although the above logic isn’t really that important or applicable to all types of business letter, it is still important to make sure that your business letter is clear, concise and error-free to avoid misunderstandings. So, what are the types of business letters? To understand the different types of business letters, you need to understand the purposes of a business letter. Business letters serve a lot of purposes. It could be for a job application, a business proposal, selling an item, acknowledging an order, building relationships, offering a solution or prevention, etc. You need to make sure your writing and tone properly match the type of business letter you are writing about. Job application – this is the most common type of business letter. This is basically what you write when you want to apply for a job position for a certain company. Business proposal – this is a written offer from a seller to a prospective buyer. Ordering products – believe it or not, purchase orders are also considered business letters. This is a legal document that specifies the number of products and the total price of a specific order. 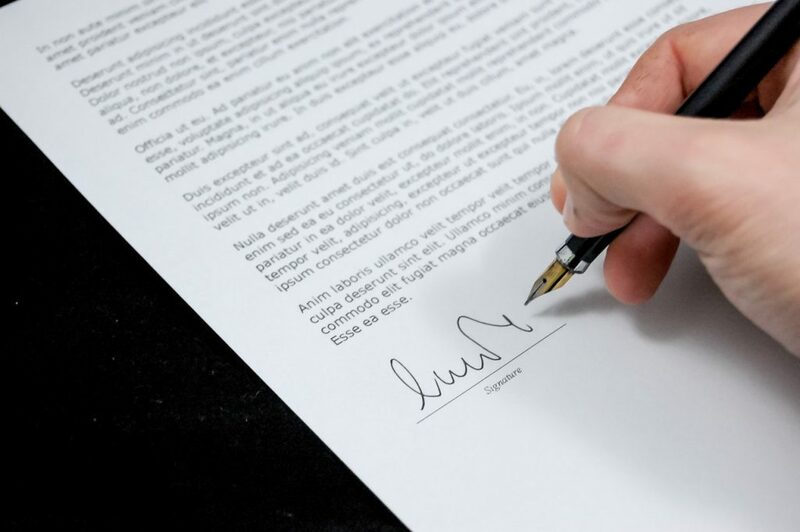 Considerations – a company may write a business letter to a customer who hasn’t purchased anything for a while. They may also write to customers about a sale, discounts, coupons, etc. This is just one of the many formats you can use to write a business letter. If you want to know more, don’t hesitate to contact us!